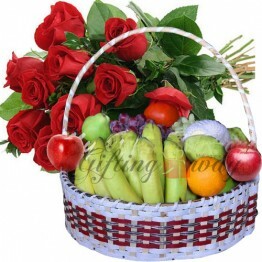 Exclusive combo gifts for your dear ones includes Hand Bunch of Mixed Flowers along with 1/2 Kg Asso.. Flowers are thought to be the best gifts, and when they decide to put together with chocolates, cakes or soft toys, it turns into a perfect gift. 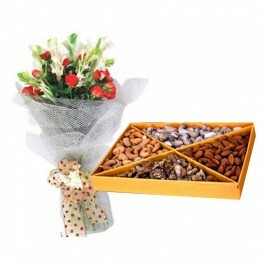 Healthy dried fruits with beautiful flowers is an excellent gift to a special person for all occasions. 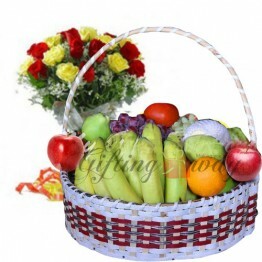 Buy various combinations of a gift of Flowers and dry fruits as per your choice. Make occasions much better and happier with our special combo to make it a memorable experience for a lifetime.